Accredited tests consists of the determination of the characteristics of a product in accordance with well-defined methods. Tests performed by accredited laboratories in accordance with the standard ISO 17025 are services for supporting processes of production or conformity assessments. Depending on the sector, they can be tests, measurements or analyses. There are various types of test which are made relating to the sector in question. Tests, measurements and analyses are applied in many sectors. The steps taken to avoid, eliminate or reduce risks to an acceptable level for human and animal health (whether they be direct or environmental risks) are verified in terms of their effectiveness by means of lab tests, ensuring food safety. Other tests made in food may have the aim of consumer protection, such as product origin and quality markings. Many test laboratories carry out conformity evaluations of high complexity and reliability equipment, in order to carry out controls of the production methods of electronic systems. Vehicle manufacturers and suppliers of components use test laboratories for checking the conformity of vehicles. Electromagnetic tests are performed on vehicles and components, as well as size, function, tyre and crash tests. Mechanical and physical/chemical tests play a crucial part regarding the nature and suitability of materials used in the industrial process and in research into non-conventional materials and non-standard technologies. Only the in-depth knowledge of the chemical elements he materials are made of makes it possible to identify the presence of “factory” defects in the manufacturing process of the manufactured articles or semi-finished products. Forensic laboratories perform many different types of tests in the investigative and juridical fields, both civil and criminal. In the railway sector both constructors of rolling stock and components and railway managers, conduct size, electrical and electromagnetic tests as well as those on materials used for making trains and components. In the textiles and leather production businesses the use of lab tests is widespread – from clothing to medicine – starting from the raw material to the finished product. Tests can be chemical, mechanical, dyes, microbiological, fire-resistance, special uses for guaranteeing the absence of noxious substances. Public health entities deliver services of analysis suing laboratories operating at provincial level, operating in the chemical, virological and serological sectors. 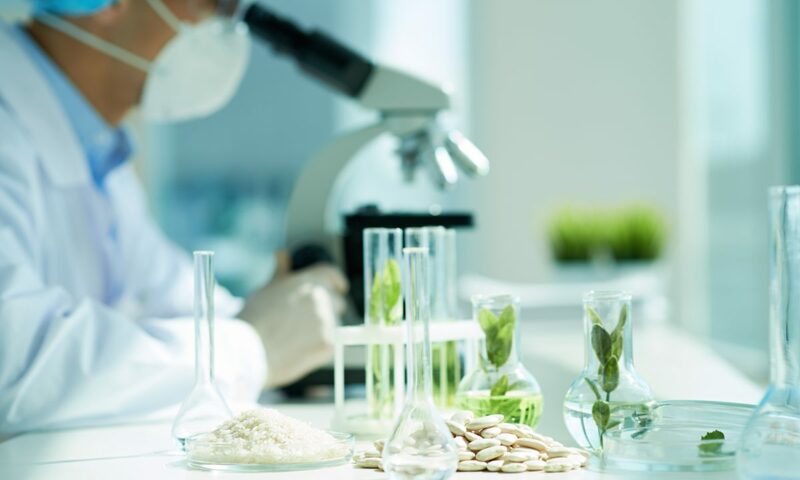 Laboratories undertake activities concerning prevention, research and animal welfare services, checking sanitary conditions of farming and breeding areas, animal and other livestock origin food safety, so as to guarantee consumer health and the free movement of animal origin food products. In this sector laboratories perform both routine and complex tests which may be chemical, biological, physical or geological, aimed at the protection of the water supply, defense of the environment, of the soil and subsoil, and plant biodiversity. Laboratories active in this field perform tests on single components, on equipment or on entire systems for use in the civil and industrial sectors, in telecommunications, transport, electricity safety materials, electromagnetic compatibility, lighting and optical components, equipment for solar panels and windmills, hardware/software systems and low/medium/high tension equipment components. A lab operating for the World Antidoping Agency (WADA) does chemical and forensic tests on athletes to check for performance-enhancing drugs. Chemical, mechanical, fire-resistance tests are carried out on many different products such as cement and cement mixtures, construction products, earth, insulation, bridge supports, facades, windows, doors, paints and ship-building materials. Tests are performed by accredited testing laboratories according to the ISO/IEC 17025.